Use a Plastic Straw, Go to Jail. The California insanity over plastic straws has not abated. I asked for one at lunch today (Saturday) and the waitress informed me that I had to drink from the lip of the glass. I asked if I could bring my own straw (BMOS) in the future. She said that she didn't know, but that the restaurant manager, (who was off pleasuring himself somewhere) would return shortly. When the manager returned they said that they had no policy on BMOS, so yes, for the time being, I could do that. The sermonette for the day is that if you're visiting California and wish to drink a beverage through a straw, bring your own - in some cities. 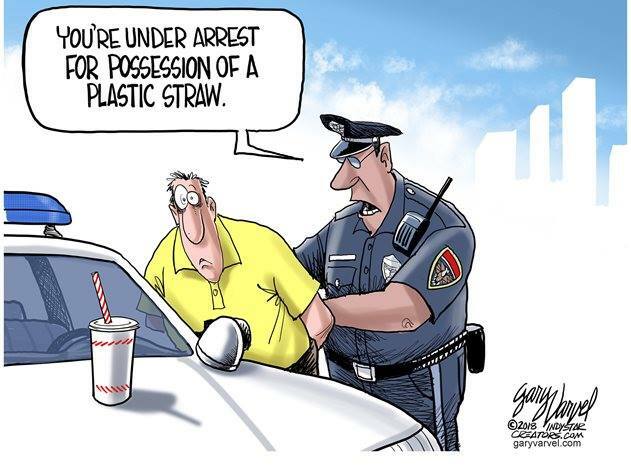 In others, you can go to jail for possession of a straw. Under Proposition 36, possession of narcotics is essentially legal. Straws - no. 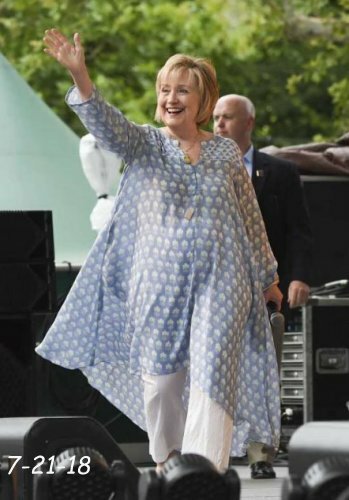 That's how progressives roll. There is a filthy rumor being circulated to the effect that Vikings did not drink from the skulls of their enemies. Some contend that Vikings drank from horns or cups. A skull is a cup. Admittedly you might want to line it with seal skin (waterproof) or all of your beverage will pour from the eye-holes. Iran is continuing its "death to America" campaign to try and get the Persian public away from thinking about how miserable they are. The sanctions return in August and it will make it difficult for Iran to sell oil to anyone. They used to smuggle it to North Korea in defiance of international law but even the Norks have stopped buying from them because they're trying to work out a deal with the US and to stop being an international pariah state. You can imagine how lonely that makes the Imam feel - the only real pariah left on the planet. Previous rounds of sanctions have isolated Iran from the international financial system. Under the 2011 Comprehensive Iran Sanctions, Accountability, and Divestment Act (CISADA), foreign-based financial institutions or subsidiaries that deal with sanctioned banks are barred from conducting deals in the United States or with the U.S. dollar. Since all oil must be sold in dollars, Iran can truck oil to rogue regimes over the desert and do things of that nature, but they are denied the international oil market. Importers of Iranian oil are blocked from making payments through Iran's central bank. Without oil sales and the revenue that brings, their economy is difficult. In addition to sanctions, The IMF estimates that Iran’s break-even point, the price per barrel at which the country can balance its budget, is $92.50. As today Brent crude oil sold for $74. Several years of austerity budgets have raised public demands for increased domestic spending, including for oil-industry infrastructure that has fallen into disrepair. 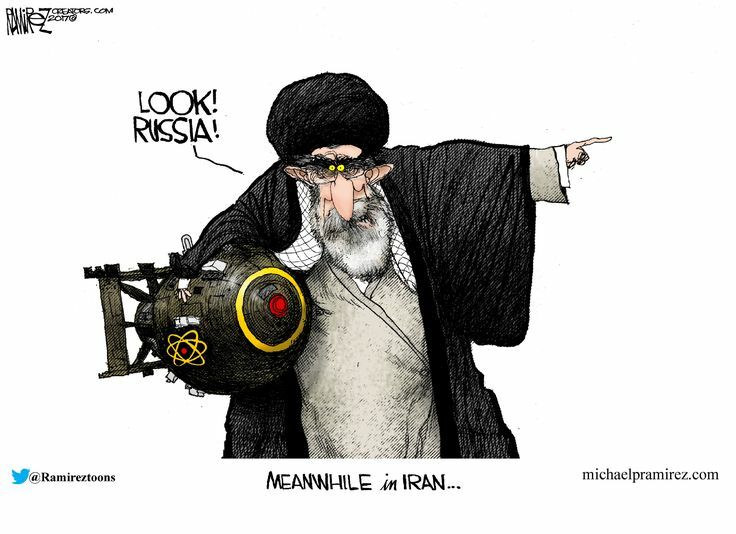 When President Trump repudiated the misguided Obama policy of appeasement toward Iran, the EU announced that it would lift sanctions. That only worked until the Saudis said that if the EU did business with Teheran, they would not do business with THEM. The EU reversed itself quietly and is on board with sanctions. 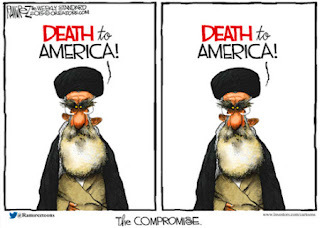 Will Iran make a deal with the US (the Great Satan) that the US Congress will be able to agree to? That is the question.